About a month ago, I made a post featuring my first Alexander McQueen bangle. In the post, I mentioned that I wanted to buy a few bracelets and stack them. 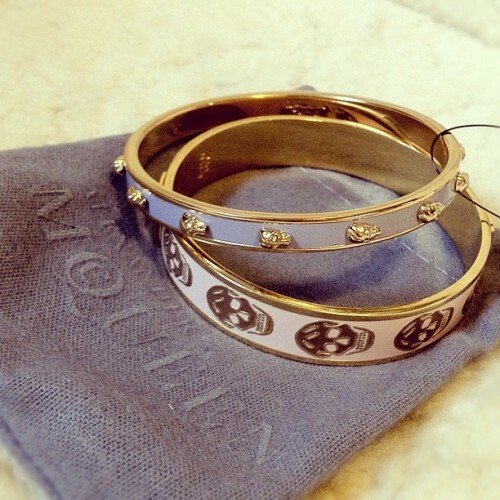 I finally got my second McQueen bangle, and I'm excited to share it with you! 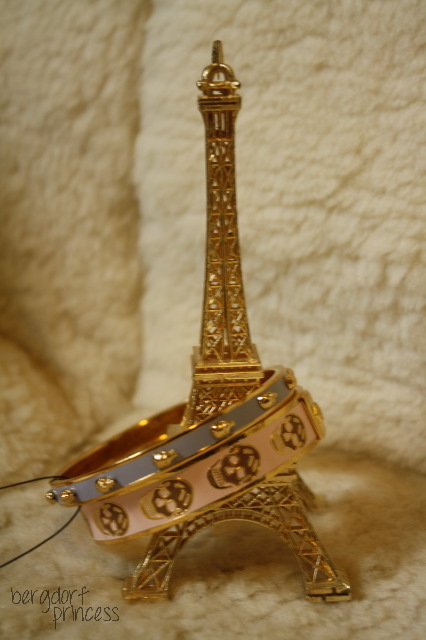 :) I purchased my bracelet from Zappos, but you can also find them at Bergdorf Goodman, Ssense, Saks, and Net-A-Porter. I love the mauve color of this bracelet and how it looks with the gold! 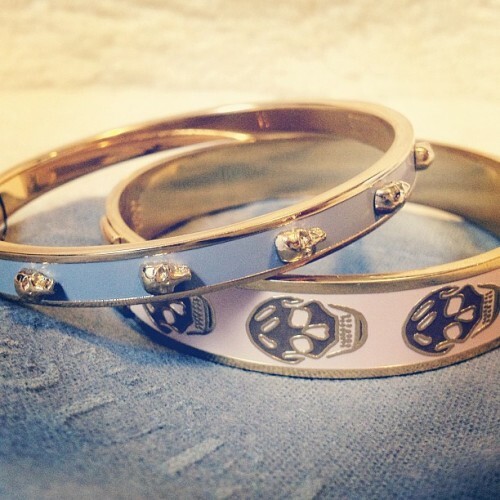 I love the fact that both of the bracelets are pastel colors, but they are completely edged-up by the skulls. They manage to be both delicate and rough. If you can't already tell, I absolutely love instagram! My instagram is MissYanaCherie (same as my Twitter). This post is amazing, I am just in love with everything ahah!! Apparently great minds do think alike because I was just about to write the same thing as Brittany, lol! Anyway, another great post Yana. Love the new McQueen stuff and you must get that clutch! It's all kinds of perfect!! Haha, aw thank you so much Jackie! So cool that you got another one! I love McQueen's clutches with the skull. It makes even a dainty clutch look edgy!